This weekend, we've scoped out four opportunities for you to shut up and dance plus one excuse to hit your frenemies upside the head with a pillow. If you’d rather stay seated, a new remastered version of Donnie Darko is screening at the Vista Theatre, or you can witness and eat your way through a live chef competition. It’s all happening, Los Angeles. In Steven Blush's new book, New York Rock: From the Rise of the Velvet Underground to the Fall of CBGB, he attributes over 1,500 musicians, clubs, and labels for their contributions to the New York rock scene. From Patti Smith to glitter rock and punk new wave, the emergence of rock kicked off a volatile social movement. Steven will be signing copies and chatting about his new book with special guests Paul Zone (The Fast), Kristian Hoffman (The Mumps), Tom Five (White Zombie), Howie Pyro (D Generation/Danzig) and Rik Fox (WASP/Steeler). 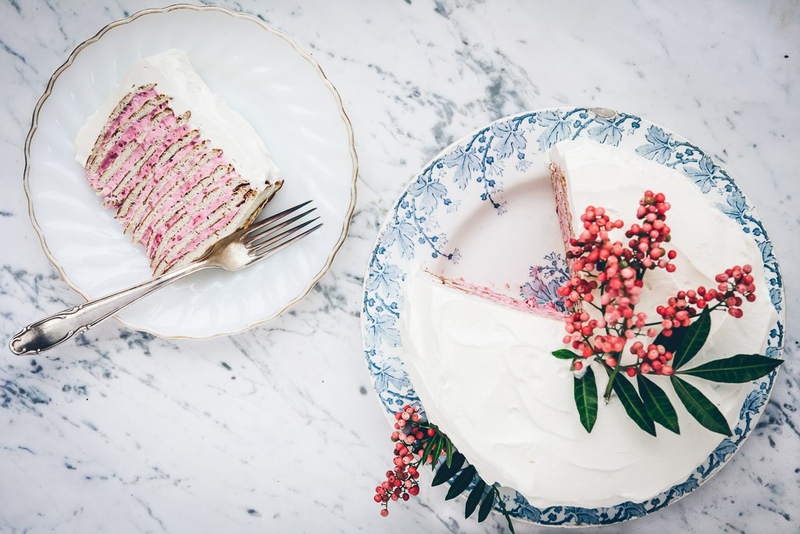 Finally, a secret pop-up dinner that vegans (and glutenphobes) can actually attend. World-class vegan chef Nicole Derseweh has a "Peppercorn Social" vegan feast lined up this. That means that each of the four courses and the cocktail will include the age-old peppercorn in some facet. We're particularly excited about the Triple Peppe Crusted NOT BEEF Wellington. Nicole reguarly shares and demonstrates recipes for newbie vegans on her YouTube channel I Vegan You. Though Selena’s life was cut brutally short, no one was able to extinguish the legacy that Mexican-American superstar Selena left behind. On Friday, Vista Theatre will screen a special 20th anniversary midnight session of the 1997 J-Lo biopic Selena in its original 35mm format. There’s also a Selena costume competition (grab those bustiers and hoop earrings! ), and of course, a full on sing-a-long. The event fittingly takes place on both Cesar Chavez Day and the anniversary of the singer's death. All proceeds will benefit MALDEF—The Mexican American Legal Defense and Education Fund. 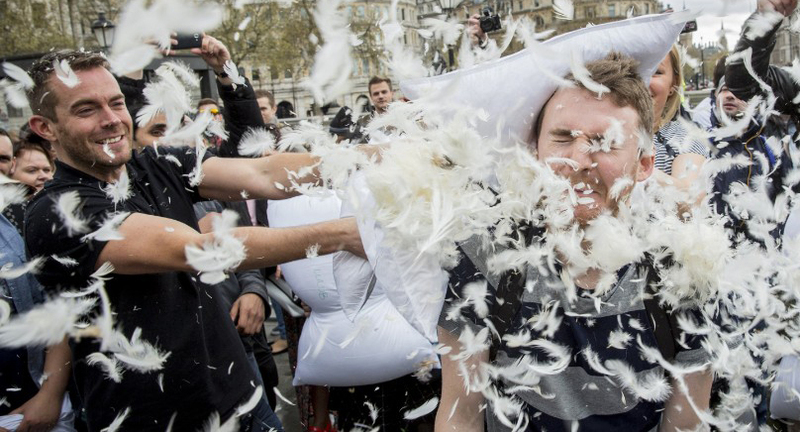 Nope, not an April Fools joke—Saturday is International Pillow Fight Day! Say, what? Apparently it’s a global phenomenon. If only the event were a socio-political phenomenon—world leaders could take out their egomania on pillows instead of war machines. But until that miracle happens, we can find some release in our own lives. There will be food trucks and DJs, but you’ll need to BYO soft pillow. The organizers also request that you bring a garbage bag and/or rake to help leave “no trace of its occurrence” after the fact. Sounds fair. Young Literati is a wildly popular event that celebrates the the Los Angeles Public Library through literature, dance and music. 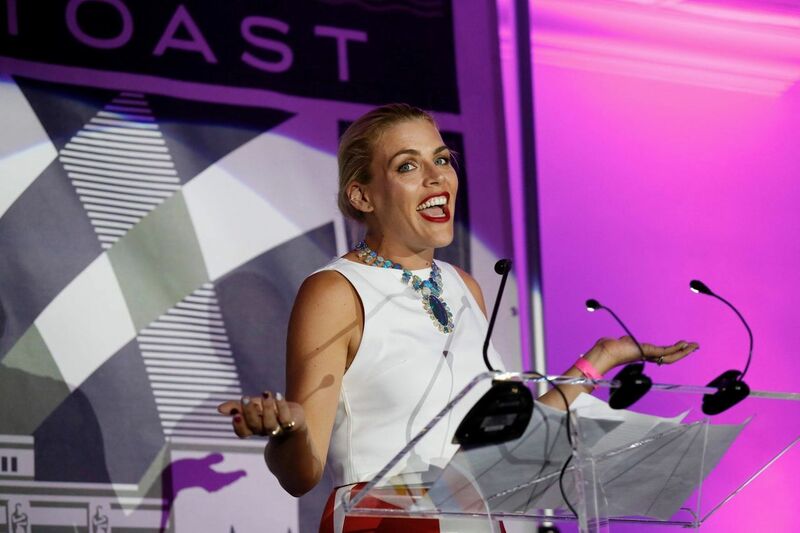 Busy Philipps and Colin Hanks are hosting with performances by Chelsea Handler, Andrew Bird, Kumail Nanjiani and more. This year’s Young Literati Toast has already sold out its GA tickets, but it’s definitely worth rolling up for their standby waitlist. Our favorite IRL cooking competition, Top of the Line, returns for a second year with a seven-course feast. Three chefs — Rose Molina of Public Beer Wine Shop, Justin Coughlin of Lucques and Melissa Virgin from 71Above — will be pitted against each other while you eat all their exquisite morsels. The judge panel will include Heather Platt from the LA Weekly, Joel David Miller from The Wallace and Michael Hung, chef/partner at upcoming Mama Lion. The Roaring Twenties Street Jam brings to town a weekend time warp that’ll have you kickin’ up your Charleston heels. 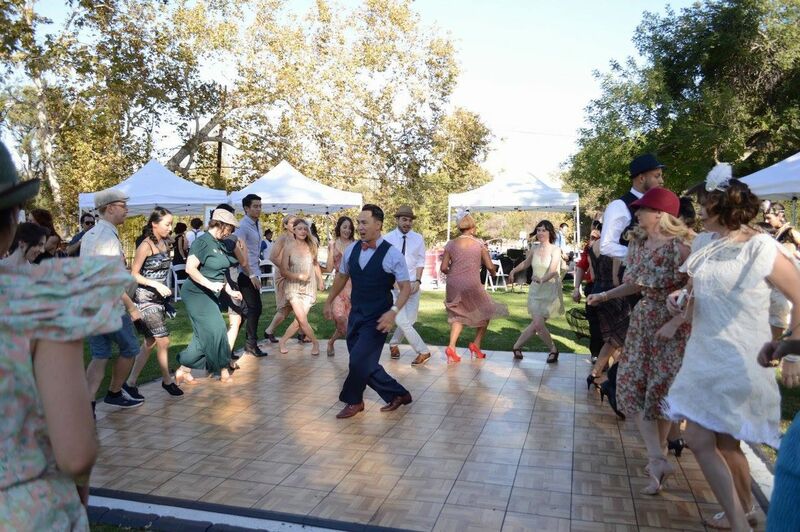 There’s a whole schedule of dance classes, a speakeasy and a lawn party, plenty of croquet, bean toss and vintage shopping. Time to break out your best flapper attire. Celebrate April Fools at The Getty with the popular radio show and podcast, Selected Shorts, and its annual side-splitting spring event. 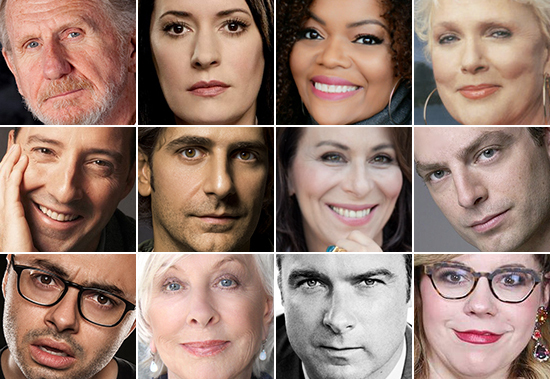 This year will be hosted by Malcolm in the Middle’s Jane Kaczmarek and feature plenty of farce, satire and wit from some of your favorite actors including including Tony Hale, Liev Schreiber and Kirsten Vangsness. With the arrival of spring came Holi, the Hindu holiday marked by public gatherings of friends and strangers to rejoice in song, dance and the exchange of "colors." New York band Red Baraat is extending the celebration by travelling the country with a colorful array of South Asian sounds. 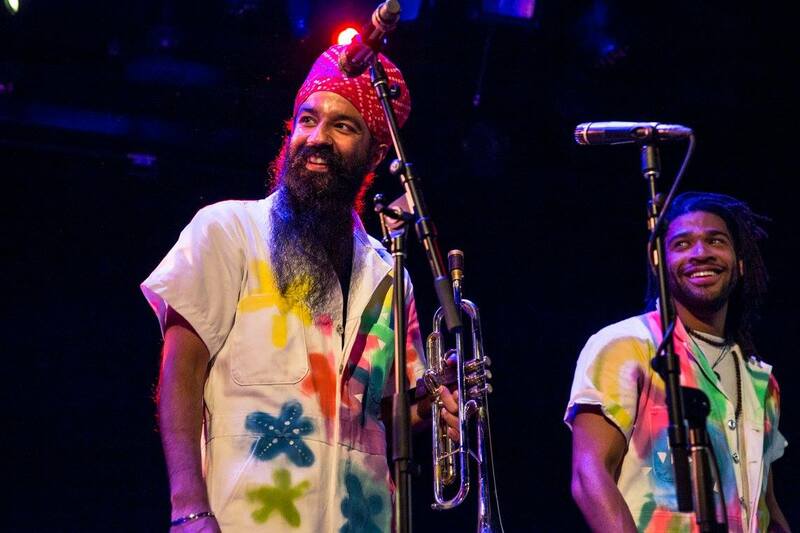 Dubbed by NPR as “The best party band in years”, the eight-piece Brooklyn band has created an incomparable fusion of jazz, hip-hop, rock, funk and Punjabi Bhangra. Bandleader and dhol player Sunny Jain will also curate a line-up of special guests. The 2001 flop turned epic cult hit that initially drew our attention to the J-Gylll, Donnie Darko is back in a lovingly remastered edition. 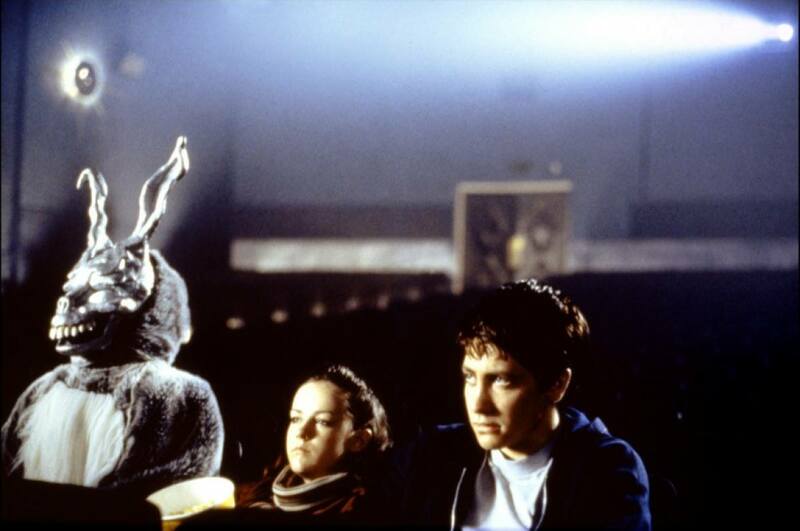 This Sunday you can witness Frank the giant bunny and angsty teenage romance as Richard Kelly intended in his director’s cut. If you’ve never seen the film, this is your chance to see it on the big screen while you can. Celebrated bookstore boasts a vast selection of genres, signed bestsellers & regular author events. Open since 1923, historic movie palace known for Egyptian decor, massive screen & lots of legroom. Modern park known for its 10-story purple bell tower features summer concerts & community events. Urban oasis featuring hiking & equestrian trails, plus city views, the Greek Theatre & L.A. Zoo. General admission-only live-music venue with multiple bars presenting big-name rock & indie bands. Set in a refined carriage house, this acclaimed restaurant serves market-driven Californian cuisine. 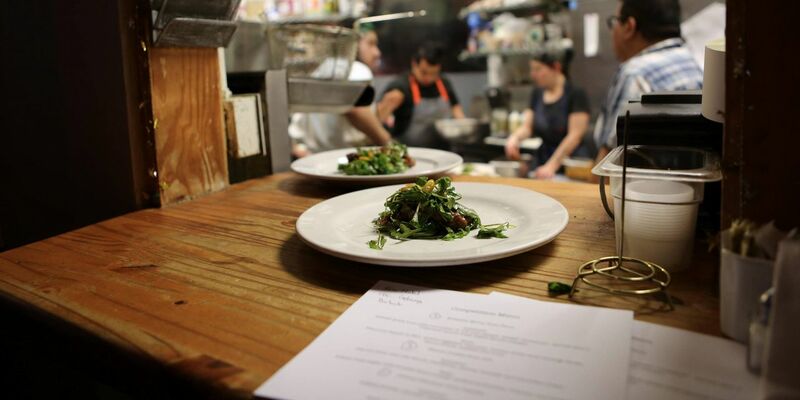 Locally sourced & sustainable Californian cuisine in an industrial setting with communal tables. Luxe eatery, bar & lounge on the 71st floor for high-end modern American cuisine & panoramic views.